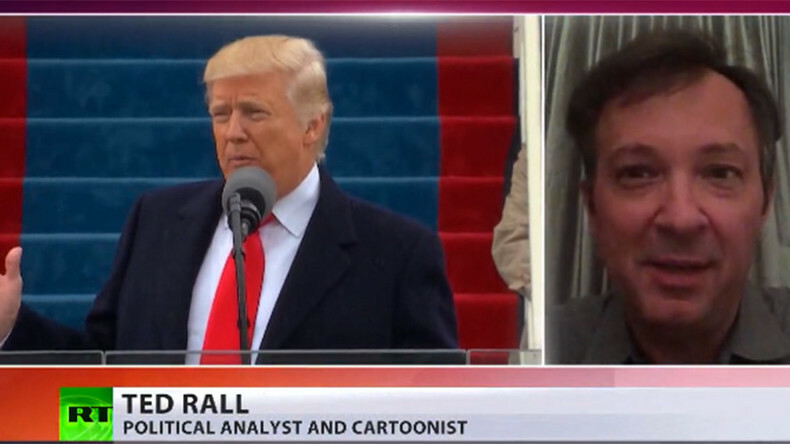 The media has never been as adversarial with a sitting president as we see today with Trump, said political cartoonist Ted Rall. He hasn’t done much to ingratiate himself to the media because he doesn’t trust these people, he added. US President Donald Trump has accused the media of 'dishonest' reporting. Speaking at the CIA's Headquarters in Langley, Virginia he claimed reporters understated the numbers of supporters present during his inauguration. Trump said that one network had estimated a turnout of 250,000 on the National Mall. RT: A war with the media looks like being a central hallmark of the new US administration, just days after it came to power. What’s your take on that? — RT America (@RT_America) 22 января 2017 г.
Ted Rall: It is as close to war as you’re ever going to see in American politics, at least in recent memory. There has never been a time when the media was as adversarial with a sitting president as we’re seeing today. Certainly, within the modern era, the closest president who never had a very close relationship with the media, to say the least, was Nixon. Even at the height of the Watergate scandal, when the media had turned pretty decidedly against him, it was nothing like this. Now there is not even the slightest modicum of respect or any sense from either side that there is any kind of trust or good will, whatsoever. If war exists, if war is possible, then this is war. At this point, it is a question of semantics. There is no doubt about it – we’re in uncharted territory when it comes to the relationship between Trump and the media at this stage. RT: Why do you think mass media is so hostile toward the new US president? TR: There is a lot of blame to go around at this point. 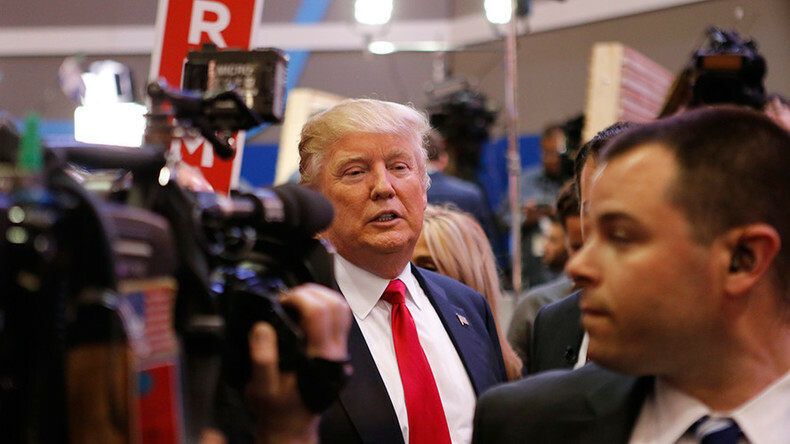 Certainly, if you’re President Trump – he has cause to think that the media doesn’t like him. And the media doesn’t. They have it out for him throughout this campaign. It is an interesting relationship because they covered him extensively; they covered him more than any other Republican candidate; they covered him more than they covered Hillary Clinton during the general election, and now they have turned against him. They viewed him as playing the role of the class clown, who was going to be fun for a few quotes and to bring in ratings, which everything he did, that he said and pronounced did bring in ratings. And then they were horrified to discover that he might actually win, and even more horrified, when he did win the presidency. There is obviously a general alliance with the Democratic Party that many members of the media adhere to, and that is part of the issue. But a lot of this has to do with temperament. Now that said, Trump certainly hasn’t done much to ingratiate himself to the media. He hasn’t talked too much to them. He hasn’t opened himself up much; he hasn’t been transparent; he hasn’t given press conferences; he hasn’t given the kind of access that members of the media and the national media, who cover presidents and perspective presidents, expect. If you think about precedents, like when you think about for example George W. Bush, when he was running for office, he was well liked by the media, because he used to go and glad-hand reporters in the back of the bus. Trump is just not that personality. He doesn’t trust these people and keeps them at arm's length. And they know that. So neither side trusts or likes each other. It has been that way for a long time. But it is a love-hate relationship because they both desperately need each other. RT: Do you think, being US President Trump will win this so-called battle between him and the media? — RT (@RT_com) 20 января 2017 г.
TR: The president has a lot of power in the American system, especially at this stage in US history. But at the same time, I wouldn’t be so quick to say that Trump will definitely win. The media has tremendous power. You can’t really govern in the US without, at least a tacit amount of support from the media. If he wants to be a successful president, or for that matter if he wants to remain president for the full four to eight years that he’s been elected to, is going to have to do better in terms of reaching out to the media and forming alliances. Otherwise, he is just not going to make it this entire way. The way the system is set up just doesn’t allow it. RT: Seems like covering Donald Trump, the US mass media acted in a different way, comparing to the coverage of the previous presidents. Do you agree? TR: Yes, I think that is right – the media showed that its disconnection from a big broad swath of Americana not only during the general election against Hillary Clinton but even during the primaries, for example, with the way that they responded to Bernie Sanders treating him as a curiosity. They did the same thing with Donald Trump. They didn’t try to get into the heads of the people who were supporting him. Most people who supported Trump were voting not for Trump, they were voting against the system – to send a message that enough was enough and that were tired of being ignored and having their interests ignored. Members of the establishment media still don’t get it, and neither does the Democratic Party. And that is part of what is going on here: two sets of people talking past one another.